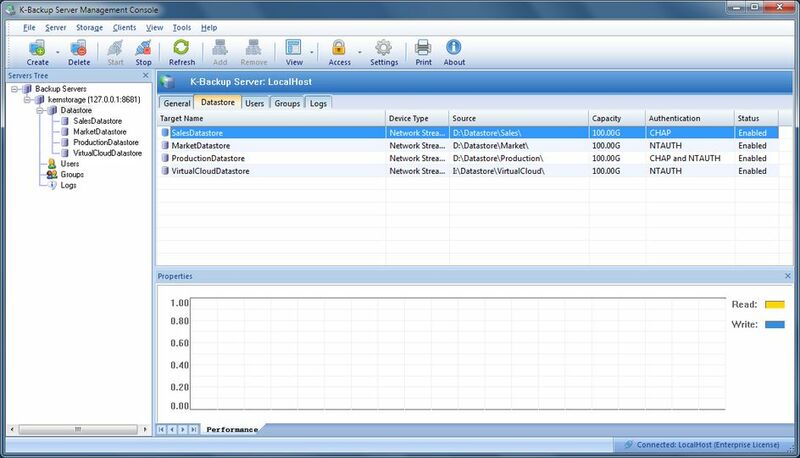 K-Backup Suite is an automated network-level backup solution for Windows. Automatically backup, backup set can be set as automatically backup Minutely, Hourly, Daily and Monthly, and also can be set as on time and got changed. Can backup files even under used by other applications, all files in one backup set are time consistent. Provide powerful filter so that user can easily backup any type of business, such as office documents, graphics, program codes etc. Support incremental backup, backup set can be set as incremental backup which every time only backup different files. Support compress method, files can be compressed before backup to the server. Support encryption method, on one can get the content except he /she has the password. Support powerful filter, with which user can specify which type of files needed to be backup. Support local disk / partition to server synchronization, all data will be synchronized to the server and using without interrupted even server is not available. Support local partition encryption, fully increasing client computer data security. Block level transparent (on-the-fly) synchronizing between local hard disk and server, the synchronization is incremental, even server can’t be reached, the different data will be synchronized to remote server after it recovered. Local block level transparent encryption (on-the-fly) for local drivers. Completely compatible with Windows Volume Shadow Copy Service (VSS) and it has built-in similar technologies to be used if VSS not available. Support Windows build-in account user and LDAP authorization.